Hi all! 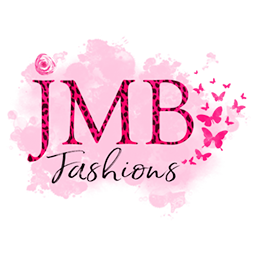 Jamie Ward with Piphany JMB Fashions here. I've been in the direct sales clothing industry for two and a half years now. WHA?!?! How does time go by so fast? lol. And during this time in the direct sales clothing industry - from being a Lularoe retailer to a Piphany Stylist (Formerly Honey and Lace), I have seen and heard SO MANY stories on people that "chose the wrong sponsor." So how does someone choose a sponsor for their new direct sales clothing business? Whether the company you are joining is Lularoe, Piphany, Agnes and Dora, My Amelia James, Paisley Raye, etc... there is always one common thread you should consider between them all: It is very important to choose the right sponsor for you. Because quite simply, choosing your sponsor can make or break your business. There, I said it! Your sponsor will either inspire you or they won't, which will directly transfer into your new clothing boutique business. And since your sponsor will be collecting a bonus off of your success, it is important that you choose the best person to fill those shoes. Since I am a Piphany Stylist, I have created my top list of things to look for in choosing a Piphany Sponsor that is right for you, but honestly, this really applies to all sponsors in any direct sales business, whether it be clothing/ candles/ makeup/ etc... Don't make the mistake I have heard time and time again of women who never talk to their sponsors for one reason or another. By following my general tips mentioned in this 8 minute video, you will be well on your way to deciding the right Piphany sponsor for YOU!